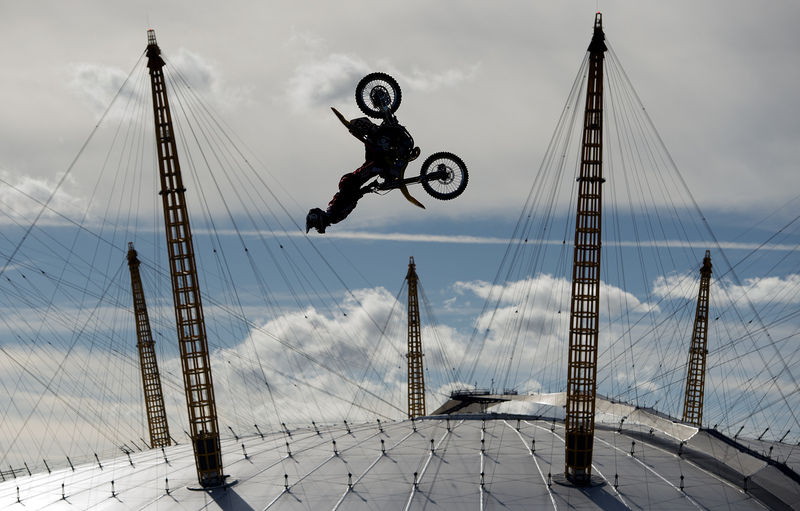 Action sports icon aims for World Record with MotorCycle Backflip on the Thames Between Two Barges Ahead of UK TourPastrana will attempt to backflip a 75-foot wide gap between two barges floating in the Thames River. Both will be 120-feet out from the embankment without any mooring lines tied to the shore or each other. Without either an open ended run-in or landing – not even solid ground – Pastrana will only have 150 feet to accelerate to takeoff speed. Then after hitting the lander he will only have 36 feet to come to a stop before sliding into the river. Pastrana must also contend with the choppy water of the Thames that will make his landing ramp a moving target, not to mention high winds that will buffet him in midair, threatening to send him flying off course and miss the 27 foot wide landing barge altogether.